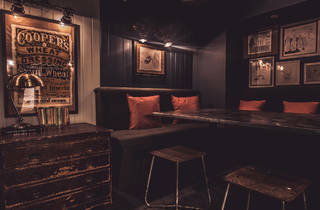 A cocktail paradise on North End Road. Below the Cut is now closed. Time Out Editors, 2018. Every now and then in this city you get to see someone great before they become famous – maybe a comedian or a band in the back room of a pub. Or, in this case, a mixologist in a quiet speakeasy under a restaurant in SW6. But Fulham, not exactly the first place you think of for cocktail bars, might not be big enough for the wonderful world of Charles Gaboreau. 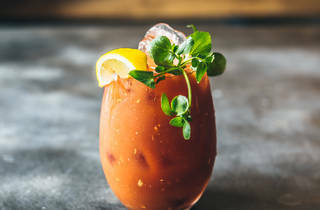 For now, in a small, eclectically furnished room under the Hanger steak restaurant, you’ll get the Frenchman’s undivided attention as he suggests tipples according to preference. Guinness and tequila? Oh for heaven’s sake! But it works, I tell you. 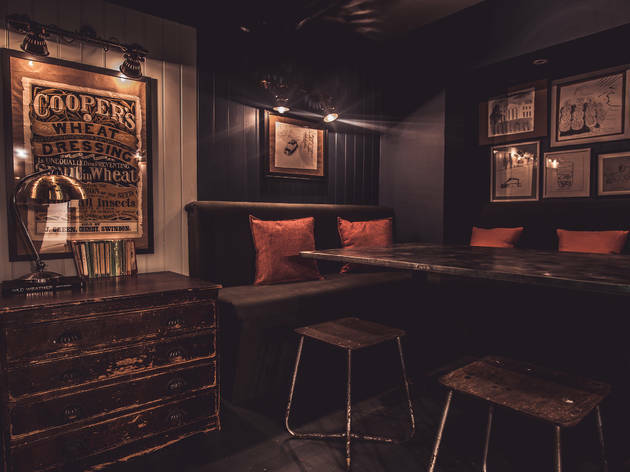 In even quieter times he’ll sit with you and tell you of his love for old cocktail books from the ’20s and how he had always dreamed of creating a thriving ‘secret’ bar. Which is exactly what he’s done here: Below the Cut is Gaboreau’s baby. 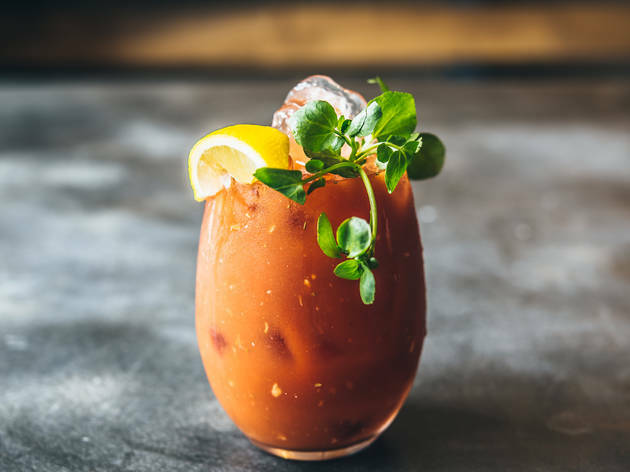 There are plans for some real off-the-wall drinks, should his budget be extended – as if setting light to your Mai Tai isn’t enough – but for now just marvel at and indulge in what’s on offer. 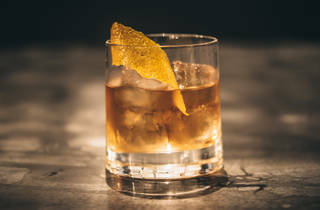 The Hanger Old Fashioned is a fine example of this bartender’s skill; bacon-infused bourbon with a couple of drops of maple syrup among the usual ingredients, topped with house-made pork scratchings. 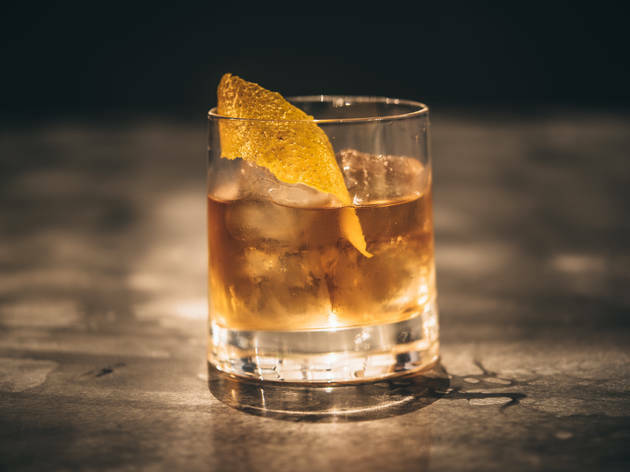 You know the joy a Hawksmoor Full Fat Old Fashioned brings? Now triple it. His love of the American prohibition era extended into a recommendation for The Last Word – a sharp lime number that washed away to leave a quick hint of gin before the light Chartreuse after-taste. Up there, somewhere, the barman from the Detroit Athletic Club nods his approval. My companion just had to try the Lemon Cheesecake, a heavy, tangy concoction in which the vodka was almost imperceptible. It was topped with a light, citrus-infused meringue, made in and deployed from a whipped cream dispenser, which was swiftly crisped on top – another of Gaboreau’s successful experiments. Spoons are available and readily accepted.